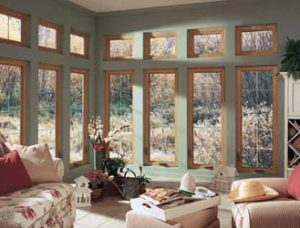 When you think of of windows in regards to an element of style in your home, you’ll see why casements deserve strong consideration. Casement windows are available in several configurations from a single unit up to a 6-unit design. Our multi-chambered and foam filled frames create high-performance vinyl replacement windows that are engineered for a lifetime of performance. Other great features include: multiple interior/exterior color options, beveled exterior sash, compression-type inner bulb insulation seals, positive crank mechanics, and multi-point locking system for added security. At West Knox Windows and Siding, we make it easy to get the replacement windows you need to ensure that your home looks great. Our goal is to make the entire window installation process as easy as possible. From the moment we provide you with a free quote to the time the windows are installed, you can count on our team to be courteous, knowledgeable, and professional. It really is as simple as that. Wondering about the window replacement cost in your home? We’d be glad to help! Please don’t hesitate to get in touch with our team today.